It is a question of building which is at the root of the social unrest of today: architecture or revolution. 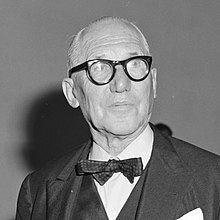 Charles-Édouard Jeanneret (October 6, 1887 – August 27, 1965), better known as Le Corbusier, was a Swiss-born French architect, designer, urbanist, writer, and one of the pioneers of what is now called modern architecture. Une maison est une machine-à-habiter. But suddenly you touch my heart, you do me good, I am happy and I say: "This is beautiful." That is Architecture. Art enters in. The city of Chandigarh is planned to human scale. It puts us in touch with the infinite cosmos and nature. It provides us with places and buildings for all human activities by which the citizens can live a full and harmonious life. Here the radiance of nature and heart are within our reach. The age of personal statues is gone. No personal statues shall be erected in the city or parks of Chandigarh. The city is planned to breathe the new sublimated spirit of art. Commemoration of persons shall be confined to suitably placed bronze plaques. The truthfulness of materials of constructions, concrete, bricks and stone, shall be maintained in all buildings constructed or to be constructed. 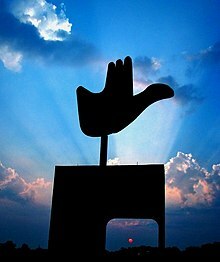 The seed of Chandigarh is well sown. It is for the citizens to see that the tree flourishes. Vous savez, c'est la vie qui a raison, l'architecte qui a tort.